Happy Friday!! Let the countdown to the weekend begin! 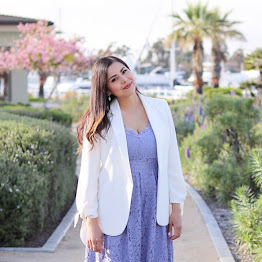 Last weekend the boyfriend and I were twiddling our thumbs thinking "let's do something fun" and so we headed off to Coronado Island for a day of... what else? drinking! Keep in mind it's super hot (anything over 80 degrees in San Diego is considered "super hot") so my poor boyfriend started feeling dehydrated. Before his dehydration, I managed to get a few shots by the bay with my good ol' city's skyline in the back. I love Coronado, I worked there for about 6 years and driving in was always a treat with the amazing views! If you're ever in San Diego this is definitely a place to visit! I love the structure of this "Euphoria Leaf" clutch from feNa! The quality is impeccable! Croc-embossed italian leather with an eco-friendly vegetable tanned hand finish? Yes please! Cute outfit & the view is breath taking! Hope you had a great time gorgeous! What a fun dress. Goes so well with your clutch. And I adore the title of this post- makes the pictures look so pretty! You look lovely I love your clutch it goes perfect with the look. I love Coronado and I did the same thing when I went I drank and ate alot lol. Good times though. woahhh leg much?? haha hottness love the colors on the dress..
Aww thank you for the sweet! Just started following you; hope you follow us back! 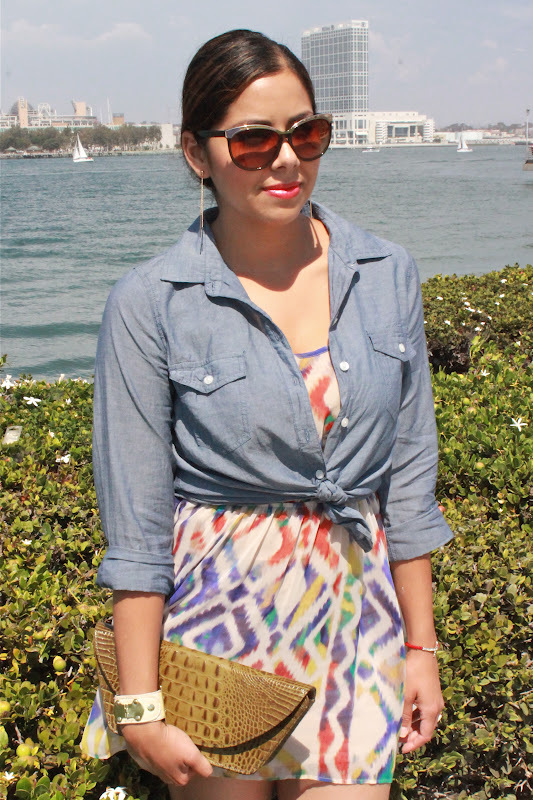 :) Absolutely love how chambray can be dressed down or up. This outfit is so casual chic! that skirt is so pretty on you!!! Great look! I love the print against the chambray. It balances it off nicely and the texture on that purse is awesome. Love this look, especially the chambray shirt! Pretty dress! I love how it looks with the chambray button down. Sounds like and your man had a good time. Love the dress looks gorgeous on you doll. Such a cute outfit you put together! Fabulous as always!